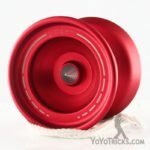 Review of the Gradient Yoyo by One Drop. 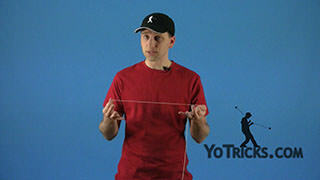 One Drop Gradient Yoyo Review Yoyo TrickThis is the Gradient. 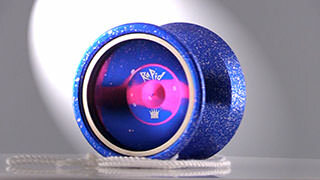 It has a pretty nice design, it is a little bit different looking than a lot of yoyos, which is great. 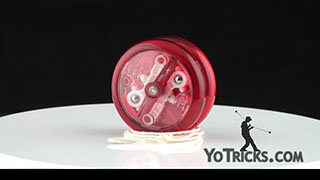 One of the first things that you might notice is that the weight is all centered in this part of the yoyo right here. But it also has a very wide, kind of flared, design. 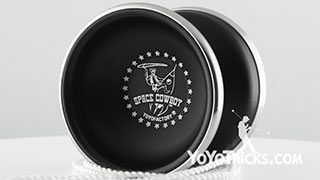 What those two things do when you combine them together is it allows the yoyo to play pretty fast but it also has a lot of control because it has that extra wide shape. The weight is kind of pushed out a little bit. 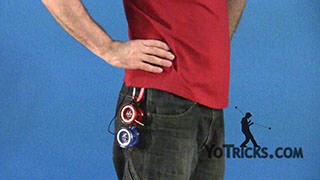 Typically you think if a yoyo is really fast it is not going to have a lot of control, or vice-versa, this yoyo seems to have struck a pretty good balance between those two things, which makes it really nice to play with. We will show you some of that when we are showing you tricks with this. 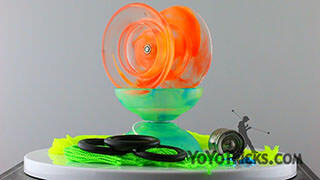 When you take the yoyo apart you will also see some of the other great features about this yoyo. 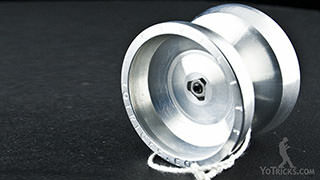 The first thing is the bearing, it has the classic One Drop 10 Ball Bearing. If you like flat bearings this one is perfectly serviceable, you won’t really want to change that out. If you are more a fan of CenterTrac or KonKave bearings, those will improve play in certain respects, so you always have that option. 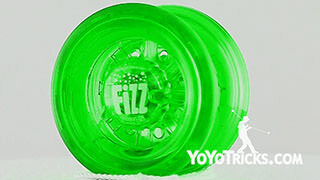 This yoyo also comes with the Side Effects. 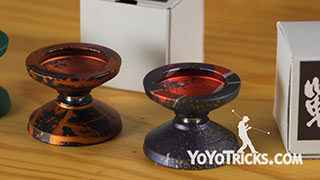 If you are not familiar with One Drop yoyos this will be quite a novelty. 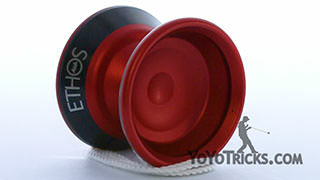 These Side Effects, you can actually push right through the yoyo and they just come right out. 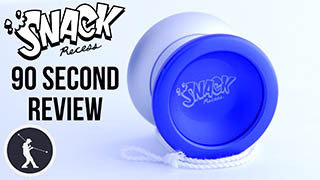 The nice thing about that is they have various Side Effects that are different weights and different colors so you can swap those in and out of the yoyo, they just push in and come out really easily. 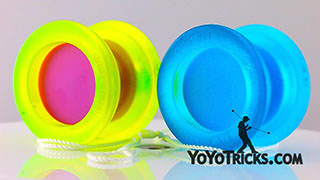 If you want to match your yoyo with a certain color you can do that. Some of the Side Effects are a little bit lighter. 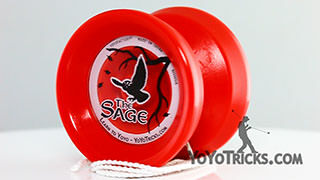 If you are a new player, the difference in weight, you may not really be able to tell the difference, but a lot of experienced players really swear by these and they like to have their yoyos setup just so, so that is a nice option for them. If you are into that, then it is definitely something you should try out. 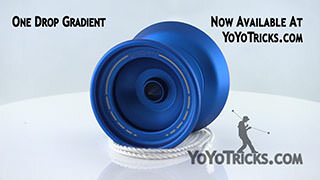 Another great thing about the Side Effects is if you happen to string the threads here or here, a lot of yoyos you will just have to throw the yoyo out, but if you have a Side Effects yoyo you can just pop those right out and put in a different set and the yoyo will basically be as good as new, which is a pretty awesome feature. It is just part of the quality of the overall product, and One Drop yoyos, they really keep the quality really high and everything about this yoyo is really top notch. 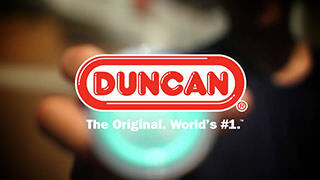 The only thing you really need to do to maintain this yoyo, just like other yoyos is change the string and every now and then you will want to lube the bearing with some Thin Yoyo Lube, and that bearing will really last and last. That is just a quick look at the One Drop Gradient. The two things that I have mentioned about the Gradient are its speed and its stability, and those are two things that typically don’t go together. By speed it should be pretty obvious what I mean, the yoyo seems to be able to go about as fast as your hands can take it. 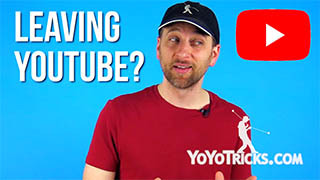 With stability, if you have never gotten a high-end yoyo that is really fast before when you are throwing this yoyo it might actually feel a little bit out of control which makes it seem like it is not quite as stable as – as you said it was, Adam. 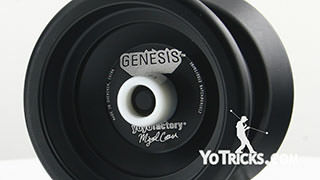 Actually, compared to other high-end yoyos that are this fast that wide-flared shape that we talked about, actually does make it quite a bit easier to control, so once you get used to that light touch that you need to have with yoyos like this you will see that it really does give you the type of control that you really need for those types of tricks. 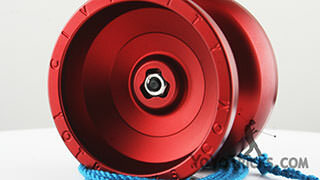 Probably a better word to describe this yoyo other than just speed and stability is acceleration. 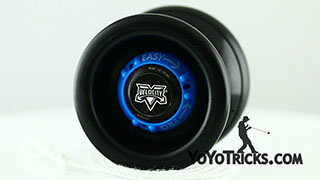 What I mean by that is it is a good yoyo for getting it started moving really fast and then slowing it down it is really easy to get it to change directions really easily and you can kind of control your tricks like that. 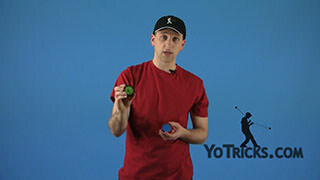 What is nice about that as far as yo-yoing goes it not just the tricks you can do, but it is especially good for off-axis, because as you know with off-axis you want to keep the yoyo moving, you want to get the yoyo to change direction a lot while you are doing that, going back and forth. 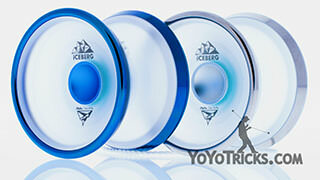 So having a yoyo with really good acceleration is going to help you learn those tricks and take them a lot further. 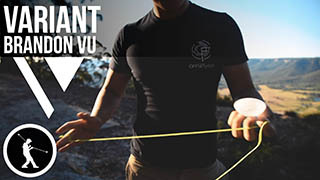 If you are just getting into off-axis and are looking for something that can help you go a little bit faster, take your tricks a little bit further, and really push you to the limit then the Gradient is a very good option for that. 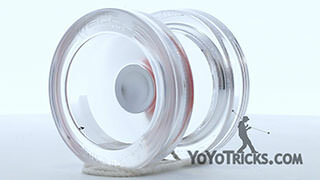 One thing that I haven’t really talked about, is how good this yoyo is for Finger Grinds. 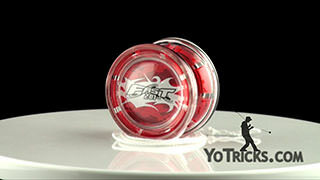 This yoyo, if you catch it on your finger straight and get it balanced it will just go and go and go. 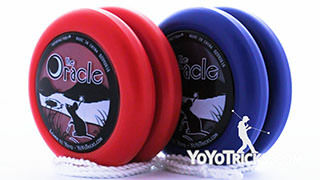 It actually gives you a whole lot of different options if you are working on different kinds of Finger Grind tricks, if you have some different creative ideas about what you may be able to do with a Finger Grind then this yoyo will give you all you need. 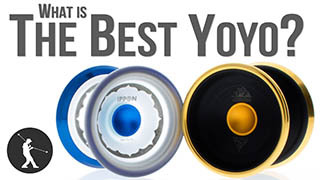 As with any High-end yoyo, if you want to go in and make that purchase you need to consider all the different qualities that the yoyo has, we have tried to tell you about all the best features of this yoyo, so if those things seem like they are going to benefit you as far as the tricks you want to learn and the type of yoyoer that you want to be, then we think that you will be really really happy with the One Drop Gradient.